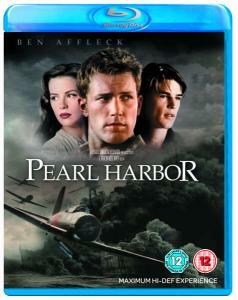 Producer Jerry Bruckheimer and director Michael Bay launch Pearl Harbour on Blu-ray's high definition disc. Experience the epic blockbusters as never before in this breathtaking new format!When the innocence of a nation is shattered by sudden and devastating act of war, the lives and loves of a generation are swept into the greatest conflict modern man has ever known: World War II. Gasp at astounding visual effects in explosive 1080p, and feel every resounding impact with spectacularly enhanced audio. With a tremendous all-star cast featuring Ben Affleck, Josh Harnett and Kata Beckinsale, this rousing story of love, loss and heroism is a must-see cinematic event with Blu-ray High Definition.